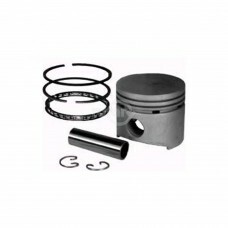 Lawn-Boy Standard F - Engine Piston & Ring Set. Piston has a small hole in the top. It is a compress..
Piston Assembly for Briggs & Stratton Models: 12A800, 12D800, 121700 - 129800 Quantum Engines. Inc..
Piston Assembly replaces Honda #13101-ZH7-000, #13101-ZH7-010. 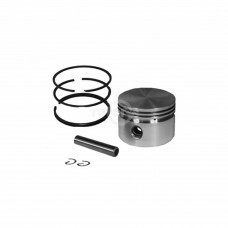 Includes Piston, Rings, Wrist Pin & K..
Piston Assembly replaces Honda #13101-ZE1-010. Includes Piston, Rings, Wrist Pin & Keepers. 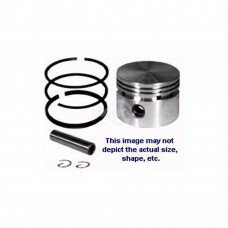 Fits Hon..
Piston Assembly replaces Honda #13101-ZH8-000, #13101-ZH8-010. 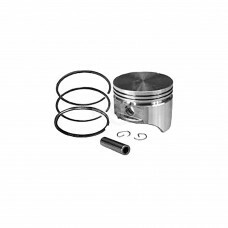 Includes Piston, Rings, Wrist Pin & K..
Piston Assembly replaces Honda #13101-ZE2-010. Includes Piston Rings, Wrist Pin & Keepers. 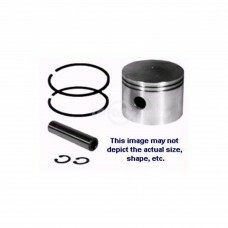 Fits Hond..
Piston Assembly replaces Honda #13101-ZE3-000. Includes Piston, Rings, Wrist Pin & Keepers. Fits Hon.. Fits 3-1/2 HP Vertical & 5 HP Horizontal Engines for Briggs & Stratton. Includes Rotary #2475 Rings.. Fits 3-1/2 HP Vertical & 5 HP Horizontal Engines for Briggs & Stratton. Includes Rotary #2476 Rings.. Fits Briggs & Stratton 10-12 HP Models: 251000, 252000, 280700 Series. Fits *10 HP Model 222416, *.. Fits Briggs & Stratton 10 thru 12 HP Models: 251000, 252000, 280700 Series. Includes Rotary #6773 R.. Fits Briggs & Stratton 10 thru 12 HP Models: 251000, 252000, 280700 Series. Includes Rotary #6774 R.. Fits Kohler 10 HP Model K-241. Includes Rotary #6799 Rings.Replaces:KOHLER 47-874-03-SPRIME LINE 7-.. Fits Kohler 10 HP Model K-241. Includes Rotary #6800 Rings.Replaces:KOHLER 47-874-04-SPRIME LINE 7-.. Fits Kohler 10 HP Model K-241. Includes Rotary #6801 Rings.Replaces:KOHLER 47-874-05-SPRIME LINE 7-..